Mobile ad spending in the United States will grow at a rate of 14.7 percent compounded annually through 2022, increasing its share of digital ad spending from 57 percent in 2017 to 69 percent in 2022, Forrester Research concludes in a recent report. Forrester divides digital ad spending into three categories: display, search, and social. From 2017 to 2022, mobile social will increase from its current level of 40 percent of mobile ad spending to 43 percent; mobile display will increase from 16 percent to 17 percent; and mobile search will decrease from 44 percent to 40 percent. Mobile social is expected to overtake mobile search as the largest mobile ad channel in 2019. Forrester notes that Facebook, the largest mobile social channel, saw a 37 percent year-over-year increase in its average ad revenue per monthly active user in the United States and Canada in 2017. Additionally, Forrester asserts that its news feed format is well suited for banner and stand-alone video ads on mobile devices. Although it is the smallest of the three mobile ad channels, mobile display will have the highest CAGR, according to Forrester: 16.7 percent from 2017 to 2022. Increasing mobile video consumption will be a major factor, as will more time spent on smartphones and higher ad prices. However, mobile display is expected to account for only 17 percent of mobile ad spending in the United States by 2022, compared to 43 percent for mobile social and 40 percent for mobile search. Mobile search, which is a relatively mature channel, is projected to see the lowest CAGR through 2022—12.5 percent. This comes as the number of mobile phone search users is expected to increase from 204.4 million in 2017 to 242.8 million in 2022. Additionally, the share of U.S. online adults who conduct searches on their mobile phones at least once a week increased from 38 percent in 2013 to 57 percent in 2017, according to Forrester, which expects higher mobile search ad prices to also be a factor in the channel’s slower growth. Forrester also expects video to play a big part in mobile ad spending growth. 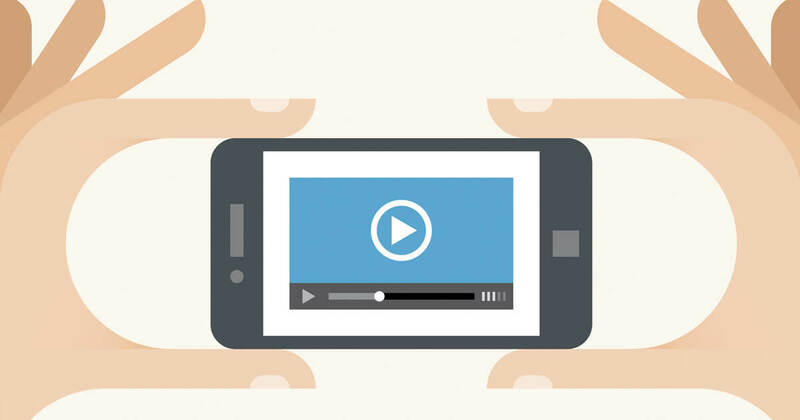 The firm identified four factors that will drive greater mobile video ad spending. The first is reduced length of video ads. Companies, including Google and Facebook, are now encouraging advertisers to tell their stories in video ads that are just six seconds long. By contrast, the typical TV ad runs 30 seconds in length. With human attention spans measuring as low as eight seconds, marketers would do well to adopt shorter video ads, the report concludes. The second factor is that Facebook is making moves to better monetize its video content. Currently, most Facebook video ads consist of stand-alone video in the news feed. However, the company is also looking to integrate video ads with its video content, according to Forrester. In August 2017, Facebook began allowing advertisers to deliver video ads in-stream during videos on Facebook and Audience Network. Additionally, as of March, all ads in Instagram Stories are automatically full-screen. These have given Facebook a strong presence on mobile, so the assumption can be made that video initiatives will mainly impact mobile video ad spending, Forrester asserts. The third factor is that smartphone improvements continue to make the mobile video experience better. According to Forrester, the average U.S. smartphone screen size continues to grow: The number of smartphones with a screen 4.5 inches or larger increased from 60 percent in 2016 to 66 percent in 2017. Additionally, Forrester notes that cellular providers are making it more affordable to watch mobile video on the go via unlimited data plans. The fourth factor is emerging technologies. Although it will take some time before they impact ads, Forrester asserts that technologies such as 360-degree video, augmented reality, and virtual reality could significantly alter how consumers experience video on their mobile devices. “Now I think we’re finally seeing the share of mobile video advertising catching up with the amount of time that people are spending on their devices,” notes Brandon Verblow, associate forecast analyst at Forrester and the primary analyst behind the research.